The popular website Boing Boing published a blog post over the weekend announcing that “Myspace lost all the music its users uploaded between 2003 and 2015.” The announcement was sourced from a Reddit thread originating from over a year ago lamenting the fact that old music files uploaded to the service had become unstreamable. Though Myspace has gone through years of decline, changes of ownership, and a site-wide reboot, it was assumed that the files users had uploaded would remain accessible. That assumption it turns out, was wrong. I’m of two (-plus) minds about it. On the one hand, this is catastrophically bad. But, given recent digital trends and events, maybe it’s good? At the very least, the loss matters — but then, if I think about it a little more, maybe it doesn’t matter at all. Maybe this situation can be all of those things at once and I’m allowed to be a huge hypocrite about this. You don’t own me. The loss is bad because, generally speaking, big, mainstream data handlers like Myspace should be able to reliably store your data. They usually create backups and redundancies spread across multiple server farms. They should be able to revert after something like a failed server migration. If the website is going to make your data inaccessible by, say, ceasing operation, they should give you advance warning and the option to export your data. It should tell you proactively when there is a catastrophic screw-up. Myspace did none of these things, even though, even in its modern form, it almost certainly had the resources to do so. But here’s the thing: Maybe it’s good that all of this stuff is gone. One need only make a cursory scan of social-media chatter to see plenty of people expressing relief (jokingly and sincerely) that their Myspace histories had been obliterated. Snapchat took off and Instagram Stories became popular for a reason — they let users make posts without worrying about adding skeletons to closets. In an age when old tweets constantly resurface out of context and you can be canceled at a moment’s notice for anything you might have done at any point in your posting history, the obliteration of one’s Myspace history may come as a relief. And as harsh as it is to say, Myspace, even has a historical artifact, doesn’t really matter anymore. After all, there was a months-long gap between when Myspace told a Reddit user about the data loss and its making headlines (largely due to a post from OG weblog Boing Boing) — as bad as it is, the loss doesn’t really hinder any part of our daily lives. Meanwhile, Facebook and Instagram went down for about a day and the hand-wringing was immediate. It may also have to do with the fact that the older Myspace generation lived in an era when it was understood that the internet was unstable and erratic — “cloud” data access was never taken as a guarantee and anything truly important deserves a local backup. The Myspacolypse should be a lesson to younger people who take platforms as immovable objects that will be around for thousands of years: If it really truly matters, throw it on a backup drive. This rule has been reinforced in recent times by the perennial struggles of enterprises like SoundCloud and Tumblr, which have been repeatedly dogged by rumors of shutdowns. The corpus of Myspace data offered a unique and vital window into a portion of web history that is now, as far as we know, lost forever. 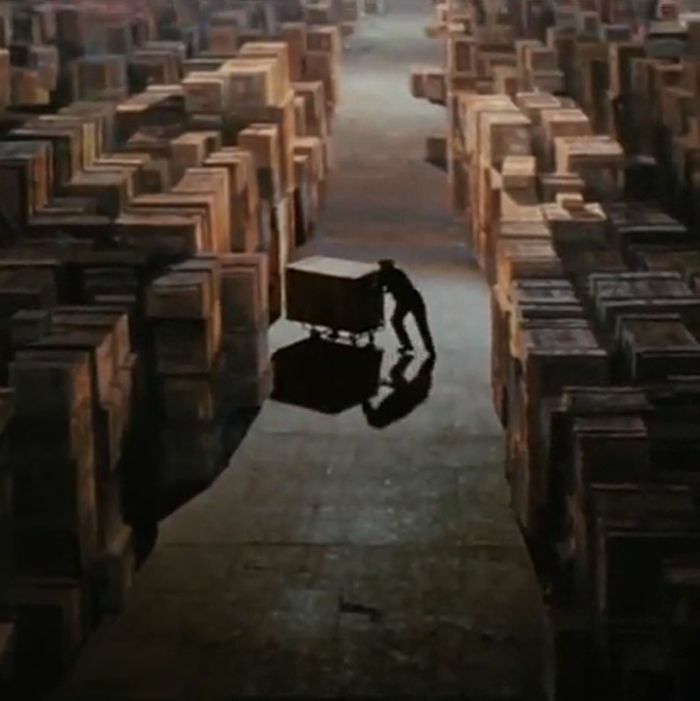 The appeal of web archiving, to me, is that because data doesn’t occupy physical space (for the most part; I am aware that hard drives or whatever are composed of … stuff), it can be collected comprehensively, and easily duplicated. That means that no one person or body needs to make any curatorial decisions about what makes it into an archive and what doesn’t; future researchers will have access to everything. An archive of everything theoretically prevents history from being written by the victors — and allows works that may have been underappreciated upon their initial appearance to possibly find audiences down the line. On the other hand, blanket internet access has effectively democratized the act of web archiving. Because, unlike with films in the early 20th century, we can now copy data at no cost, the internet’s archive is distributed across millions of users. Remixing, freebooting, and reuploading, and the platforms that turn a blind eye to copyright, have essentially made it so that anything even remotely popular that gets posted online will be preserved somewhere else, whether that’s on a Tumblr blog or a YouTube compilation or a Twitter roundup. Vine, a platform that was owned by Twitter and shut down just two years ago, is an unsearchable archive and broken embeds litter countless web pages — but you can still find plenty of your favorite clips and compilations … on YouTube. (Granted, YouTube will die someday, too.) The uploads that only get a handful of likes? You might want to create your own stash. Like the lost silent film era, with Myspace, we may not have access to the primary source anymore, but that doesn’t mean we have no record of its impact. Redundancy is, weirdly enough, how the content economy works now. Thanks to trending topics, the increasing ease of taking screenshots and sharing them, and the lowering cost of data storage solutions, it has arguably never been easier to track what is capturing society’s attention and create your own personal record of it. Many things get “backed up” elsewhere, ripped to a hard drive or described in a news article. It’s a more disparate, piecemeal operation (and I’d prefer comprehensive collection), but it seems to be working well enough as platform holders fail to handle archiving themselves. After all, Myspace could shut down entirely tomorrow, but I’ll never be able to forget that Tila Tequila dated Billy Corgan. Daily news about the politics, business, and technology shaping our world. MySpace Sold As a Data Mine for Time Inc. The Myspace Data Loss Is Terrible, But Maybe Also Good?